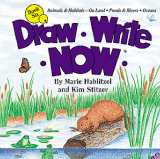 Draw Write Now was created for the primary grades, ages five to nine. The lessons are used in preschools, multi-age classes, homeschools and upper elementary classes. Four year-olds and 12 year-olds enjoy doing the lessons together. They have received numerous awards. The Draw Write Now books are numbered 1 through 8, but may be used in any order. The numbers—Book 1, Book 2, Book 3, etc.—do NOT relate to grade level. Draw Write Now, Book 1 has the easiest lessons. If a child is confident with their drawing skills, they may start in any of the books. 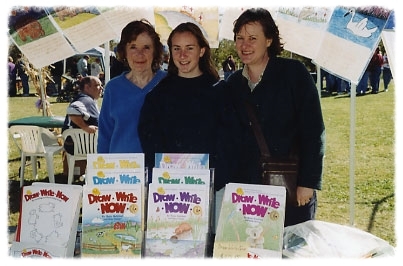 Download the Swan Lesson from Draw Write Now, Book 1 and the Heron Lesson from Book 6.